Russian for complete beginners! 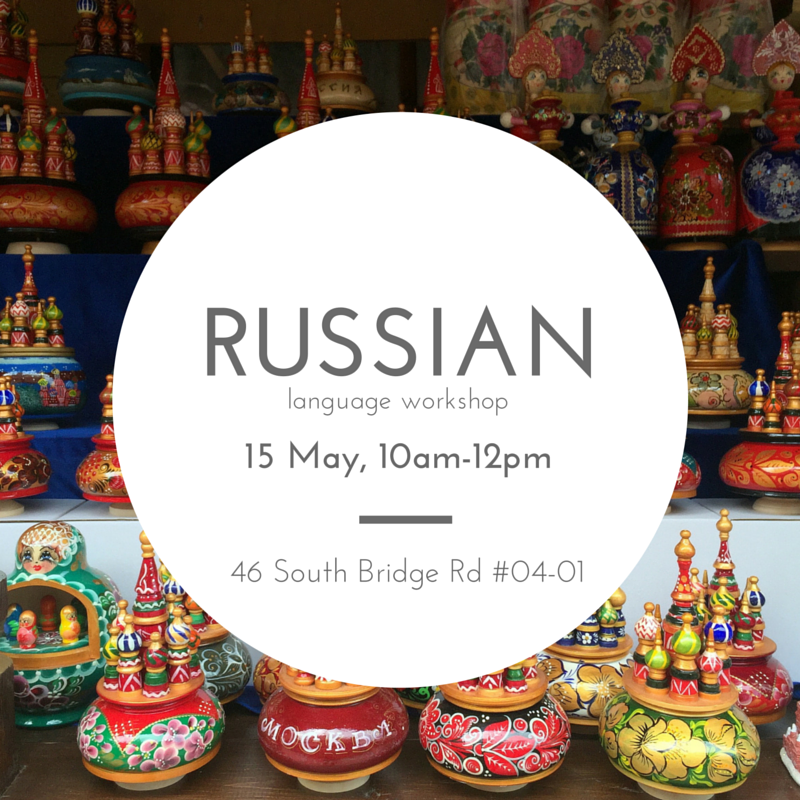 Two hours language&culture workshop for those who are travelling to Russian speaking countries and want to know some basic words and for those who are just interested in a new language to learn. You will learn simple words and find out more about Russian food and culture. Where: our Center at 46 South Bridge Rd #04-01. Please contact us to register, we have limited seats.